Cambodia starts and ends with Angkor Wat, for many folks. This is understandable, considering its imposing majesty, and it being one of the most significant religious monuments on the planet. However, talking outside the context of Angkor Wat, Cambodia is a traveler’s dream to visit. With a diverse geographical component, rich natural reserves, architectural marvels and a well-balanced amalgamation of the old and new world, it has so much to offer to any traveler from any corner of the globe. We all agree that more than half of the visitors that pour into this Southeast Asian Kingdom come with the intent to visit the Angkor temples. But underneath the entire craze about these ancient ruins, Cambodia is home to a lot of interesting and historical sites. We have suggested some of the best cities, in this post, for you to visit during your next trip to this Southeast Asian kingdom. Could anyone travel to Cambodia and not visit the capital city? That would be incredulous! This city is full of life and rich in history. The town once called the ‘Pearl of Asia’ was rightfully called so. Just as a pearl is formed as a result of irritant, Phnom Penh bears the scars of a brutal past, but it shines in all its glory. With majestic temples, other architectural wonders and its warm and wonderful people, it is indeed a city to consider visiting. We know with certainty that you will visit the killing fields and Tuol Sleng Genocide Museum, which is great. They are a part of Cambodia and it evokes so many emotions in all the visitors. But a trip to Wat Phnom Hillswould be just as great. The largest freshwater body in Southeast Asia, Tonle Sap Lake with its abundant bird sanctuary and the floating villages is guaranteed to leave a lasting impression on any traveler. A visit to the Central market is bound to get your taste buds into overdrive. Eat to your heart’s content or just stare at the fried critters and exotic fruits. Take a tour of the Royal Palace and admire the architecture or do some charity work with the many NGOs in the city, or just relax with a thorough body massage.Whether you prefer indoor relaxation or love to venture out in the open, getting dirty with nature or relaxing in the lap of luxury, Phnom Penh will satisfy all your desires and more. Perhaps the most visited city after the capital city, Siem Reap is a place to visit at least once in a lifetime. It is hot and humid, dusty and fast; streets overflow with tourists, the markets spill with wares and artifacts. It is just a fantastic place to experience the madness and joy in Cambodia. A visit to the majestic Angkor Wat is most likely on your itinerary so we will not push it. But we agree it’s a marvelous idea; few structures in the world can inspire wonder and amazement like the Angkor temples. Stay in one of the many boutique hotels at an affordable price and have a taste of the affluent life. Pamper and treat yourself with fish pedicures and Khmer massages. Indulge your taste buds with the most authentic local delicacies or enthrall them with fried bugs and exotic fruits. Take a moment of reflection as you visit the numerous temples; visit the old market to go back in time. Shop for trinkets and souvenirs at the night bazaar. Help out the many charities for children as well as adults scarred by landmines. There are museums, parks, rides, cultural shows, charities, cooking classes. Siem Reap offers so much the only thing is whether you have enough time to do it all and see it all. This secluded city was named after the beloved king and has become a leading seaside resort. It is relatively unknown in terms of being the ultimate resort destination, but then it has steadily grown to become a magnet for tourists from all over the continents. The white sandy beaches and the laid back atmosphere make it a perfect place for relaxation along the coastline of the city. The numerous shacks and hotels provide affordable accommodation to travelers. You could indulge in a lot of water sports and activities like jet skiing and snorkeling. Take a motorbike ride to experience things off the road, lounge on the beaches and drink beer. In the evening, enjoy the booming nightlife and jam with the expats or other travelers. The city is quite relaxed and easy going in stark contrast to the fact that it is the second largest city. Battambang is a beautiful balance of French architecture and Khmer designs, some of which are preserved very well. The impressive Banan temple is worth a visit and so are the killing sites of Phnom Sampeau. The province of Battambang is aptly called the “rice bowl” of Cambodia and offers authentic local delicacies. It has rich agricultural reserves. The rich culture and tradition are evident in the flourishing Battambang circus which is steeped in the country’s history. It is a must-see for anyone who steps in this town. For culinary enthusiasts, there is always a cooking class that is offered. The one that provides a cooking class in English at Battambang is Nary Kitchen. A ride through the countryside in a bamboo train could also easily be a highlight during a visit to this marvelous city. This small city that stands on the banks of the Mekong River is also a great place to visit. It is the place people come to see the rare Irrawaddy dolphins and take pictures of the ordinary lives of the local people. The food lovers can enjoy the famed bamboo sticky rice and barbequed snails while the animal lover can watch the dolphins as well as the giant soft-shell turtle at the Mekong Turtle Conservation Centre. The rich flora of Kratie includes wildflowers and orchids and is a source of inspiration among nature lovers. The Kampi rapids with furious and fast currents can give the viewer an adrenaline rush while exploring the Koh Trong Island is enough to calm even the most adventurous soul. You can comfortably lodge in any of the home stays in the city. 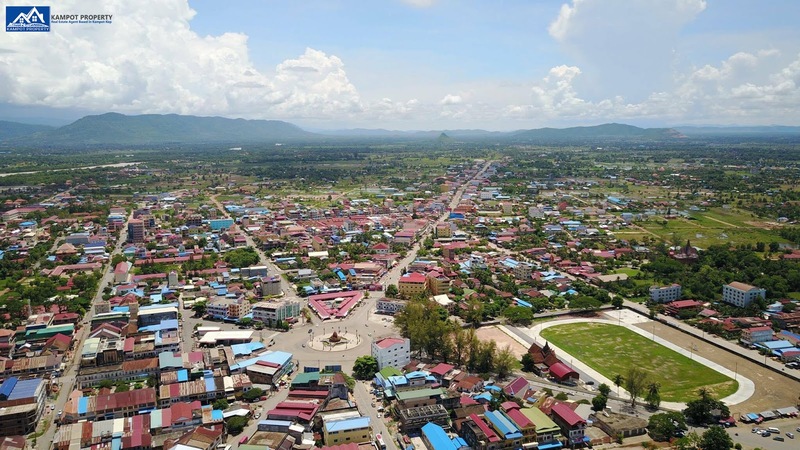 Kampot is easily an enchanting trap, in the most beautiful way. The city has a lot of hidden gems that can appeal to every traveler and make him want to stay for longer. The peaceful street makes the most idealistic place to walk around or take a cycle ride with a loved one. Apart from the parks, the haunting ruins and the breathtaking geography of this place, the best thing is the people. The people in this town are amazingly more hospitable and warm than other areas if that is even possible. The music, the food, the people and nature can be a heady combination that can take you to another place. Until very recently, this far-flung town was the hub of illegal trade and logging. But it has been very steadily climbing unto the tourism map, which has been a very effortless transition. This was made possible thanks to its unique location and natural beauty. It is located between the remote borders of Laos and Vietnam. The red colored dusty roads are flanked by trees on either side which lends it a charming look. The marketplace is an active place of buying and selling. Outside the city’s hectic life, a fantastic water body, Boeung Yeak Lom, with its gleaming turquoise waters is a sight to behold. Among the dense jungle, this water body is a gem. Koh Rong is a relatively new player on the tourism scene. However, it is no secret that it is home to some of the best beaches from anywhere. The city itself is on the throes of development, but nature had other plans. Perhaps the most exciting and fascinating things about this place are the glowing blue plankton that occurs at night. It is something that needs to be seen to be believed. A considerable number of tourists visit the city to experience this magic of nature. Apart from the natural wonder, the city has so much to offer in the form of authentic food, great music and of course the beaches, that calls out to be explored and enjoyed. Water activities are there to welcome you in the form of snorkeling and diving with stingrays and sea horses. After all these activities, listen to the waves as you drift off to sleep. Sounds too good to be true? Come and experience it yourself! This ancient city is older than the Angkor temples by about 400 years. It is located between Phnom Penh and Siem Reap, which is why many people consider it a transit stop. However, this city has a lot more to offer than just being a stopover. It has a rich history and many ancient heritage artifacts. 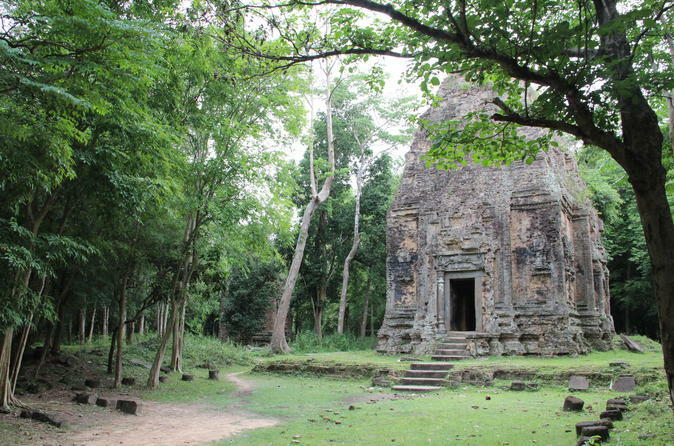 It is home to the Sambor Prei Kuk, which is an important archaeological site. The city also houses many temples complexes and pagodas. 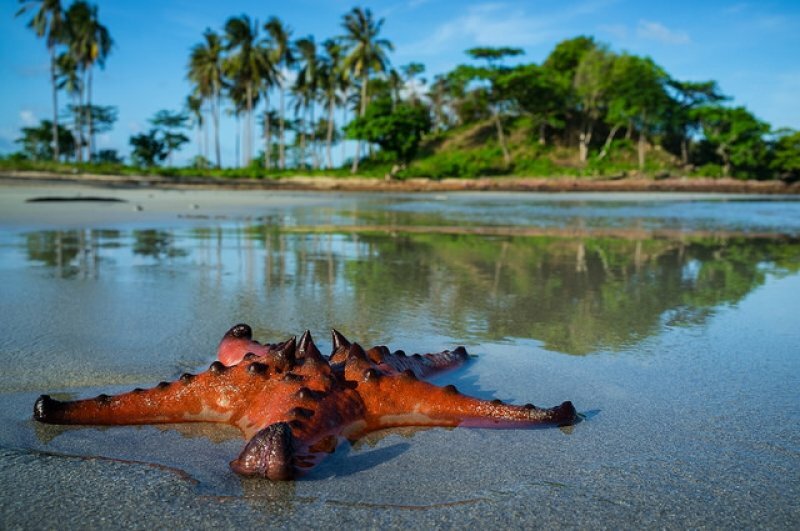 It has abundant wildlife that will satisfy nature enthusiasts. The stunning rice fields with a thousand shades of green is picturesque and a photographers delight. The small farms offer a sanctuary for the many birds to congregate in hoards. The intriguing remains of the Chenla Kingdom or the Sambor Prei Kuk lie on the outskirts of the town making this city a great place to visit. Initially developed as a seaside resort for the affluent and French socialites in the 1900s, the city is home to huge villas some of which are now falling into ruins. But nature did not prevent it from producing the freshest and the best seafood in the country. The crab shacks and the crab market are the highlights of this town. The city is very family oriented and offers a fantastic place for great photography at Kep National Park, the crumbling villas and golden sunsets. The city is the center of trade and industry in the area. The orange waters of the Mekong River make its way through the town as the charming people welcome their guests. The city is behind in infrastructure and development, but the warmth of the people more than make up for this fact. Casual limbering in the boulevards provides a glimpse into the lives of the people living in these parts; people exercising in groups, and pedaling their wares piled so high in the bicycle you can hardly see the rider. The bamboo bridge is perhaps the fascinating thing about this city is. Every year the Mekong river flood, forcing the people to take down the bridge, and it is rebuilt after every flood. The city is also home to the last wooden pagoda in the entire province. A good number of temple complexes are also in the town which is definitely worth checking out. This town is relatively unknown to many, which is easily understandable as its geography is quite unique. It is situated close to the Thai border and was a transit hub until very recently. But the booming gambling industry has enticed many big shots from Bangkok to roll their money into this little town. Because of this reason, the city has undergone a considerable facelift and is on the verge of becoming the Las Vegas of Cambodia. The train station is a must visit if you ever make it to this side of the country. So you see, there is so much more to do and see in Cambodia. The kingdom has evolved and has made exceptional recovery from its past. Apart from these physical developments, the welcoming people and the natural beauty of the various places make it a joy to visit. After your next visit to the Angkor Wat, if you feel the urge to fly straight out of the country, give a second thought and visit these beautiful places we have suggested. You will not regret it and thank us instead.